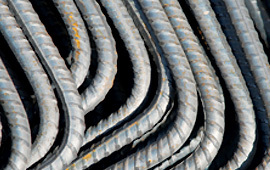 We offer a variety of steel processing services that provide exceptional value for our customers. 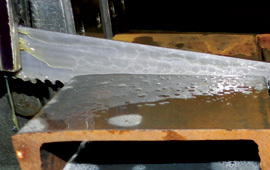 Our services include: Cutting, Sawing, Forming, Grinding, Heat Treating, Rebar Fabrication, Supply Chain Management, Material Testing and Specification Consultation. overall cost. ECON will also cut to precise “end-use” lengths as custom orders require. up to a diameter of 90”. Ask your ECON Steel Consultant about our grinding service and be sure to include your grinding specifications in our online quoting page. 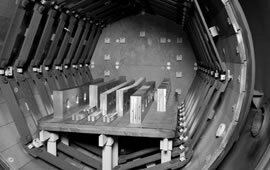 We offers a variety of steel processing services to provide the steel our customers need in a form that meets their production and price expectations. Please contact our sales staff if your company is new to ECON Steel. We invite you to establish an open account with us to ensure your orders can be filled quickly. ECONSTEEL’s online ordering is available 24/7 to expedite your order. An ECONSTEEL Consultant will provide final pricing within one business day. PHONE ORDERING - If you have a specific order to fill you will find our on-line ordering process to be quick and easy. ECON’s online ordering is available 24/7 to expedite your order. An ECON Steel Consultant will provide final pricing within one business day. Sed semper condimentum tellus, sit amet scelerisque eros rhoncus eget. Vestibulum eleifend congue nisi, nec dictum mauris faucibus id. Integer id faucibus sapien, et tincidunt purus. Nulla ante odio, auctor id venenatis nec, iaculis ac odio. Donec dictum bibendum ipsum quis mattis. Integer hendrerit arcu eget sapien imperdiet vulputate. Duis dictum sapien id quam feugiat malesuada. Suspendisse ut porta neque. Ut at dui eleifend, feugiat tortor ac, gravida justo. Aenean tempus pellentesque lacinia. Morbi varius lorem at velit scelerisque rhoncus. Cras sollicitudin tellus non purus dapibus, a pharetra libero consectetur. Sed nulla magna, lobortis in lectus sed, pharetra auctor enim. Phasellus iaculis, odio et volutpat rutrum, erat ipsum placerat magna, non luctus sapien lacus ut felis. Aenean sit amet feugiat nibh, at lobortis sem. Praesent interdum pretium est, et sagittis ligula malesuada vitae. Maecenas semper tincidunt nulla, vel facilisis lorem laoreet sit amet. Quisque ornare laoreet lacus, vitae iaculis eros vulputate quis. Vestibulum ante ipsum primis in faucibus orci luctus et ultrices posuere cubilia Curae; Etiam rutrum felis id tristique consequat. In ullamcorper erat vitae volutpat mollis. Maecenas imperdiet, magna eu congue ornare, est felis auctor odio, id vulputate ante tellus nec justo. Pellentesque id imperdiet augue. Praesent eget feugiat metus, lobortis mattis dui. Mauris sollicitudin nibh luctus quam blandit lacinia. Vestibulum eget risus eget risus fermentum pharetra. Phasellus cursus, orci vel molestie posuere, urna lorem volutpat lacus, et tincidunt diam quam in nunc. Suspendisse vel nibh a purus suscipit dictum. Proin nisi odio, facilisis vel leo ac, scelerisque sollicitudin erat. Aliquam vel justo tincidunt, vehicula orci vel, hendrerit dolor. Morbi in dignissim orci. 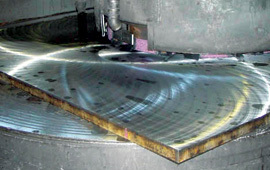 For customers that require a higher degree of accuracy and product integrity ECONSTEEL plasma cutting services can minimize machining and fabrication production costs. Our plasma cutting equipment includes one MG Plasma Cutting System with HT 2000. 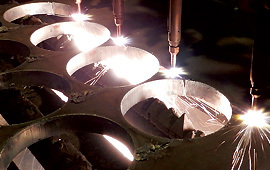 Talk with your ECONSTEEL consultant to determine if Plasma Cutting is your best alternative OR be sure to provide your cutting specifications when using our on-line ordering system.